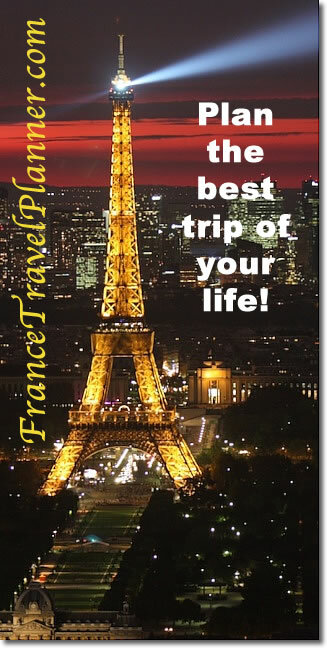 You'll find it convenient to "take the T" (short for MBTA), America's first subway train system (1897) to reach a variety of sights in Boston. Visitors to Boston will find the MBTA's Red Line and Green Line, which intersect at Park Street Station beneath Boston Common, most useful for seeing the sights. The Blue Line and Silver Line are useful for getting to and from Logan Airport. Children under 5 years of age ride free. Kids 5 to 11 pay a reduced fare for most rides. Junior and senior high school students must have an MBTA Student ID to qualify for the reduced student fare. Seniors 65 years and older pay half-fare at most stations if they have an MBTA Senior Citizen ID Card. Times on subway and bus lines vary, but you're pretty sure of being able to take the T any day from 5 am up to 12:30 am (and up to 1 am on some lines). After that, be prepared to take a taxi, unless you get the final trip time from an officer of the line, and meet the schedule. Hours may vary on Sunday. In the late 1800s, Boston public transport was by horse-drawn carriage and trolley—8,500 horses and vehicles crowded the city-center streets, bringing transport to a halt. —London's Metropolitan Railway, now known as the Underground, was opened in 1863. —The Tünel in Constantinople (Istanbul), built by French engineers, went into service in 1875. —Budapest's Metro opened a year before Boston's, in 1896. —The Métropolitain, or Métro, in Paris didn't open until 1900. Today the MBTA, which includes the subway system, is the USA's fifth largest public transit system by daily riders. Visit the MBTA website or the MBTA Information Booth at Park Street Station beneath Boston Common. 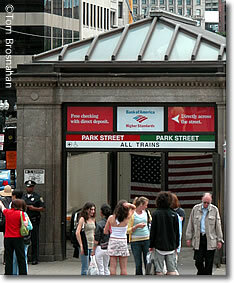 An entrance to Park Street Station beneath Boston Common, the heart of Boston's MBTA subway system. 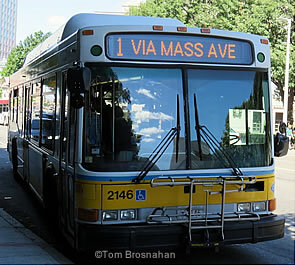 MBTA Boston City Bus on Route 1.